Cleansing the body from negative emotions is one of the most important cleansings. In many cases, without this cleansing other cleansing procedures give only temporary results. Because negative emotions accumulate not only in the physical body, organs, muscles, blood vessels, and nerves, but also in the energy field, we need to do cleansing on all levels. In our Center we start cleansing from negative emotions with cleansing procedures. Such an approach gives quick improvement of general conditions and the client becomes more capable of doing other methods of cleansing from negative emotions by himself. 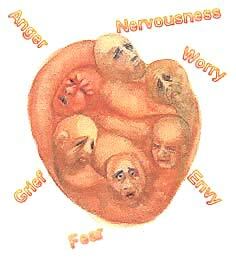 Frequently repeated negative thoughts and emotions can cause tension in muscles and organs so that they tighten up like a frightened animal trying to hide from danger. After the stress has passed, these tensions do not completely disappear but leave behind a "residue" of stress. Unfortunately, these residues can build up with each significant incident. Problems from this build-up of tension take several different forms. For example, the tension in muscles and organs uses up some of the energy of the body, weakening its immune system. This constant but low-grade tension also contributes to blockages that hinder the circulation of nutrients, blood, lymph, oxygen, energy, etc. Stress from negative emotions promotes an increased secretion of hormones into the blood. In natural stress situations, such as "fight or flight" physical danger, a person uses up these hormones through increased physical activity such as running, fighting, or working. These hormones are burned up by the muscles, and do not cause harm. However, in today's social settings, negative emotions are usually not acted upon physically. Therefore, your anger stays inside of you. The large amounts of hormones secreted instead of being burned off by muscles or used in digestion - attack and harm various organs. Suppressed or unrealized emotions are the reason for the unbalance in different organs. More information about negative emotions and cleansing the body from them can be read in Books 2 and 3 of my series, Healing Through Cleansing, and in my book, Deep Internal Body Cleansing. Eliminate fear, anger, jealousy, etc. Make you calm, relaxed, and peaceful. Give you feelings of hope. 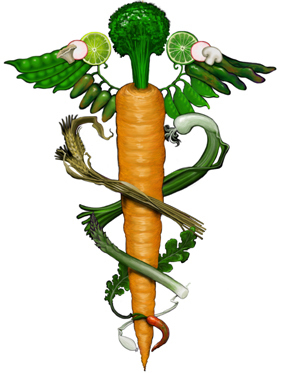 Improve your defense against diseases.